Nothing makes the board and staff of the Independence Pass Foundation happier than to see native trees, shrubs, and wildflowers thriving along the Independence Pass corridor. They stabilize the soil on steep slopes, keeping the road clear of slides. They provide forage and habitat for local birds and mammals. And they make the drive one of the prettiest in the world! For almost three decades the Independence Pass Foundation has been planting trees on the Pass with the help of our local schools. Prime areas include places along the corridor where road building, road maintenance, and natural events like landslides have stripped the landscape of plants. 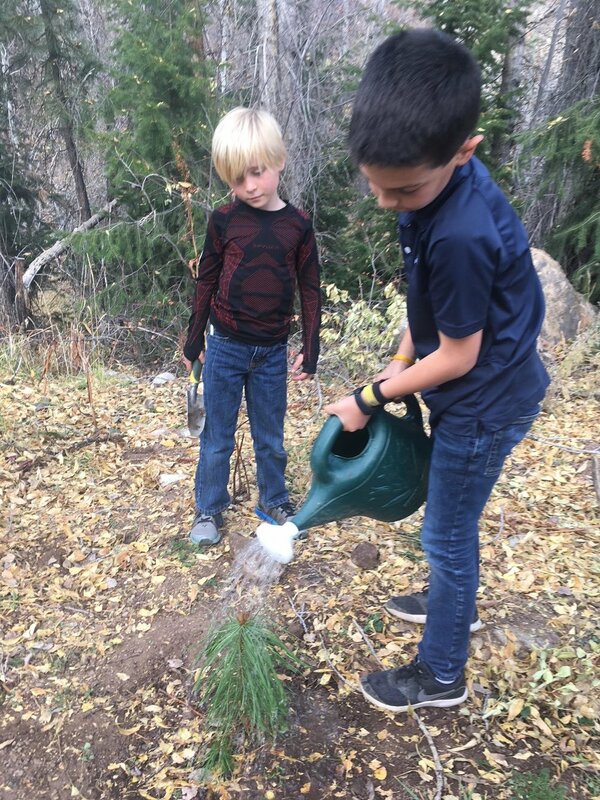 This fall, students from the Aspen Middle School and Aspen Country Day School partnered with IPF to plant Engelmann spruce and lodgepole pine in four different spots along the corridor. The Pass would quite literally look like a different place without these kids’ efforts—our best estimate is that over 7,000 trees have been planted to date! The Pass would also look different if IPF wasn’t vigilant in its efforts to keep noxious weeds at bay. Cautionary tales abound throughout our valley concerning the vast swaths of wild lands that yellow toadflax, Canada thistle, and other invasive species have taken over to the exclusion of native plants. IPF’s board and staff spend countless hours every summer and fall beating back invasives and making sure the Pass retains its unparalleled diversity and abundance of native plants. To join in the mission of restoring and protecting the ecological, historical, and aesthetic integrity of Independence Pass, please consider making a donation here.